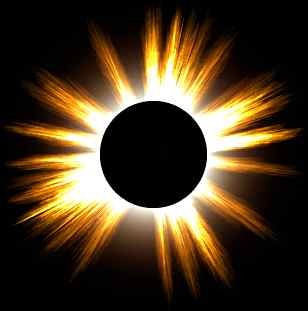 On Wednesday the 11th of August, earth will witness an awe inspiring celestial event: the moon will move between the sun and the earth creating a Dark Sun, a total solar eclipse. The last solar eclipse in this millenium. With speeds of up to 7200 km/h the shadow of the moon will race from the Atlantic Coast east of New York through Europe, leaving our planet again from India's east coast. Only places within the core shadow's path will let you see a total eclipse. Thousands of people will travel from all over the world to those chosen locations to watch this unique, awe-inspiring celestial event. Very special greetings to Bjoern and Tim from Marplon4 and the other crew members of the Heart of Gold. greetings to Flo in NZ and Nic in KR.